Get Americas introduce you the Liberty Hotel of Boston, which is the perfect place to organize your next incentive in USA. 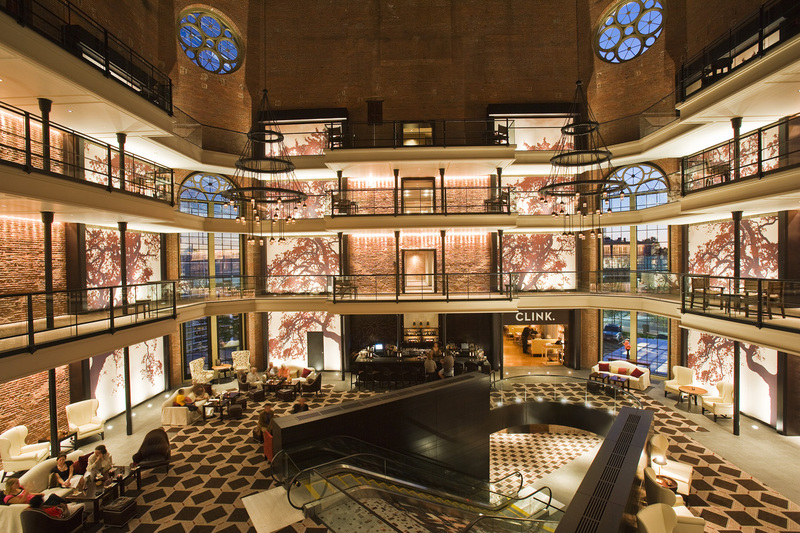 This old penitentiary of Boston is reconverted to an incredible 5* luxury hotel having officially opened in 2007, which makes it one of the first MICE destinations today. Dating from 1851, his renovation was made with the objective of not distorting its origin of prison. In this way, your collaborators can stroll in the building containing the old brick-built walls, the unchanged cold corridors and the immense windows. Moreover, the Liberty Hotel is located in the chic district of Beacon Hill with view on the Charles River, where it will be easy to organize dinners just next door. The hotel will guarantee you an incentive rich in feelings and escape with its incredible views on Boston, its 298 rooms and suites and its 3 restaurants quoted among the bests of the city. It also offers the best meetings spaces of Boston with about 6,000 total square feet of indoor and outdoor. It groups numerous meeting rooms freshly renovated in 2016, immersed in the natural light and including state-of-the-art technology. Enjoy of the many resources of Boston by staying in this outstanding hotel, guaranteeing the success of your incentive.